Firstly, apologies that my March Reading list is late! I have no excuse other than I have been far too lazy to cobble together my scribbles on paper and compile them onto my blog in some vague sense and order. But my reading picks of March are finally here along with some podcasts I have been particularly hooked on this past month! This kind of book is most certainly not my usual read, but for whatever reason, something made me pick it up. I expected an eye-roll inducing, biased social media bashing, but I was actually pleasantly surprised that this was not the case. This book actually takes a very impartial view of social media, despite the inflammatory title. It highlights all the positive impacts of social media; from the creation of jobs and opportunities, aiding business success, allowing people to connect and form friendships and communities. 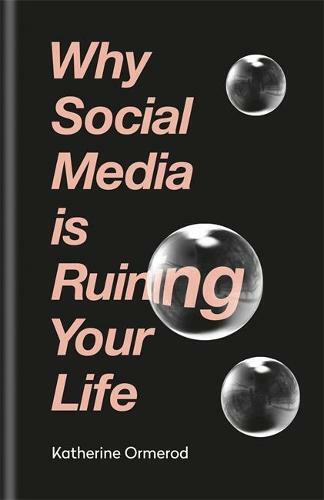 Conversely, this book discusses areas where social media may be damaging, in particular by causing us to compare ourselves constantly to everyone else’s highlight real and how it is creating a warped sense of what everyone’s reality should be which ultimately impacts our mental health. This book would be incredibly engaging to anyone with an interest in human psychology, I especially enjoyed the author’s honesty and dry sense of humour which made this book both incredibly enjoyable and relatable. This is the first novel in a four-book series of young adult fantasy. Now, I say young adult but it’s most certainly not for the faint-hearted as the author does not spare anyone’s delicate sensibilities when it comes to violence and romance! This book has been likened as an adaptation of ‘Beauty and the Beast’ which is what drew me to the title initially, and I can certainly see why people say this. 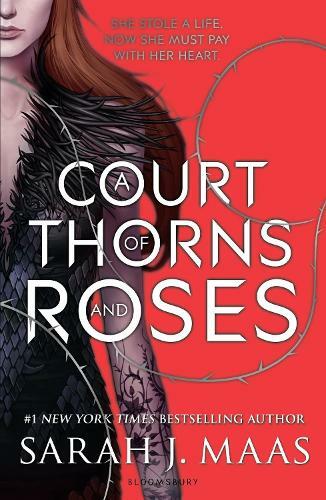 If you like getting lost in a world of fantasy and adventure, Sarah J Maas is incredibly astute at creating just that! It’s an easy to read novel with a gripping storyline and I will definitely be finding the time to read the next books in the series soon! After devouring and utterly adoring Adam Kay’s ‘This is Going to Hurt’ (check out my January Reading Recommendations to hear more about this book)I was keen to find more books like this, as I am fundamentally nosey and love to experience walking in other people’s shoes for a time. 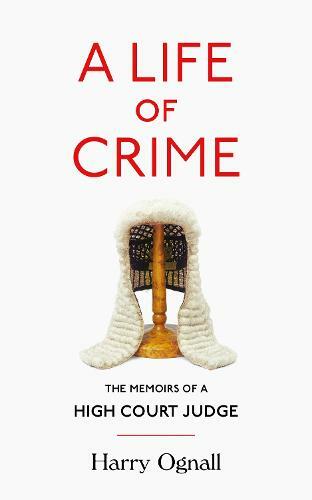 ‘A Life of Crime’ takes you through the memoirs of Sir Harry Ognall from how he became a lawyer to ascending to become a high court judge via the accounts of his most bizarre, lucrative, hilarious and downright dastardly cases. I personally didn’t find it quite as gripping as ‘This is Going to Hurt’ but it was a really humorous and overall intriguing insight into a world I am not a part of (and hopefully never will be!). So, I didn’t have the chance to read an awful lot this month, but something I have really got into in March is podcasts. Now, according to the recent blogging convention I went to last month, Podcasts are making a come-back and I certainly am all for that! I find they are great to occupy my mind while doing mundane household tasks such as cleaning or cooking. I listen via the Podbean app which is completely free and allows you to follow and download episodes from your favourite podcasts to listen to on the move. This is now my new go-to form of entertainment on long drives. The two podcasts I have been hooked on this past month are ‘The Wooden Spoon’ and ‘So She Travels.’ These podcasts could not be more different but, I do, after all, see myself as a versatile creature and the beauty of podcasts are there is literally something to suit all interests. This is a podcast created by four “Studytubers” (essentially YouTuber’s who focus on productivity, motivation and revision techniques) and is named after the prize traditionally given to the person who comes last in a race – the wooden spoon. But these guys have turned this “booby-prize” on its head with the attitude of, sure being the best and winning a trophy is great, but with my wooden spoon, I can make a cake! It’s a podcast about productivity, mindfulness and it addresses many issues faced by young people in the twenty-first century to do with mental health, achievement and sense of self. I find this podcast very inspiring and always find it pushes the productive button after I’ve listened to an episode. Check out this podcast here! As a travel addict, I am always living for my next adventure and will consume any and all inspiration for my next trip. I had the pleasure of meeting Vicky at a recent blogging event and had no idea at the time (until I promptly stalked her blog when I got home) that she had a podcast. Vicky runs a fantastic travel blog – ‘Vicky Flipflop’ which I can only hope to aspire to one day. Her podcast is designed to be an information and inspiration source for women who love to travel. Each week focuses on a different country or continent and she invites amazing female travellers to talk about their journeys, why they travel and to impart crucial travel advice to listeners. I’ve found so many great blogs to follow and it has really awoken a drive to book my next adventure (so much so that I actually went and did it!! ).Check out this podcast here!